The flowing waters of the Baghini, the chemistry of colors derived from nature and the wondrous craftsmanship of artisans who live the craft…the bold yet feminine Bagh print has had everything going for it. Except in the last few years when it’s had to grapple with challenges like eroding traditional markets, changing customer preferences and retailers appropriating the motifs to create cheaper machine-made prints among others. But Bagh, like the small town kid who beats the odds to win, has moved out of its local market and spread to a larger fashion landscape. How did this change happen? With the help of innovative young craftsmen like the acclaimed artisan Mohammed Bilal Khatri from Bagh, the opening up of new avenues like online retail and with intuitive translations of the craft into contemporary renderings that work across a global aesthetic. 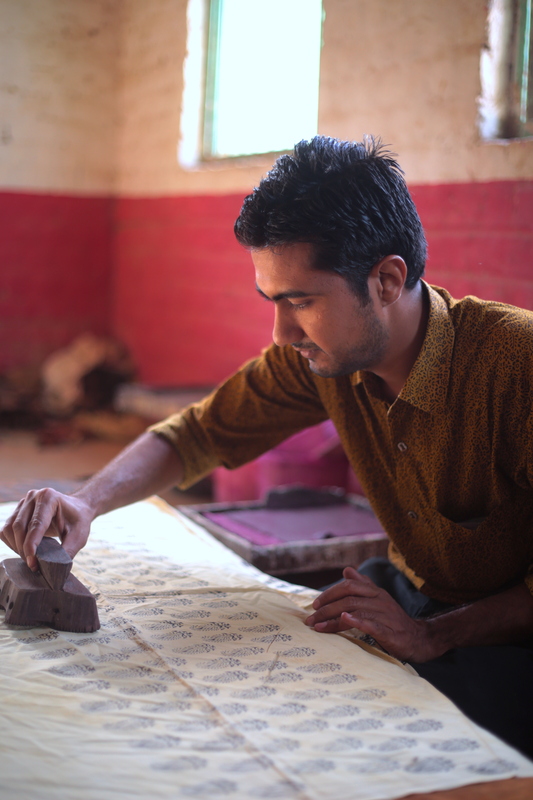 Bilal, just 30 years old, comes from a family of traditional Bagh artisans – they’ve been practicing the craft since the 14th century. 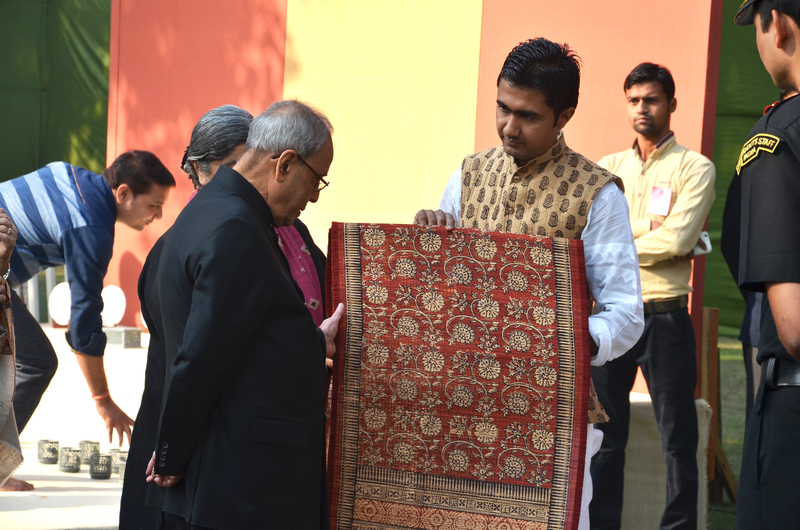 He started learning the craft from his father Mohammed Yusuf Khatri at the age of eight – understanding and practicing the complex nuances of printing, dyeing with vegetable colors and the importance of the waters of the local river, Baghini. Born in 1987, Bilal is already an acclaimed Bagh craftsperson having won awards from the government of India and Russia and participated in shows and exhibitions around the world. 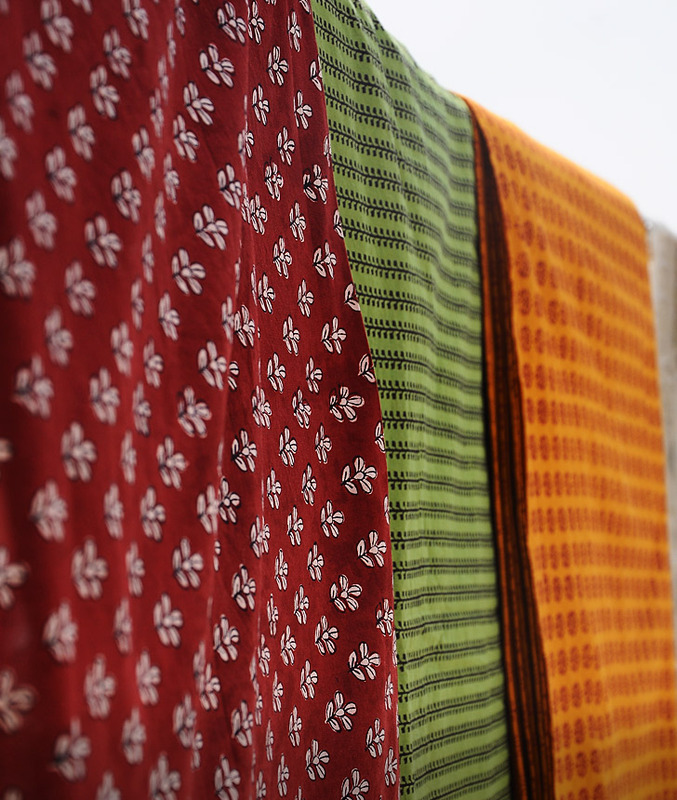 Once upon a time, Bagh fabric was only made for the use of local communities like the Bhils, Kurmis and Luhars. Different patterns, from a limited design language, were created for each group to become identity-markers. The Khatris, who are traditional Bagh printers, came to this small town from Larkana in Sindh about 400 years ago according to local lore. They stayed because their traditional skill of block-printing found water, a critical resource, in abundance here. The Khatris used a limited color palette of red and black obtained from madder roots, the local dhavadi flower and alum to color a limited array of motifs which emerged from the artisan’s environment – the miraj pattern comprising of ambi (or mangoes) with two leaves, attha design of eight petals, leheriya, juwariya (grains of the local staple grain – jowar), the shakkarpara or diamond motif and makkhi or fly. Bilal, like many before him, could have gone on making Bagh prints the traditional way, but that spark of creativity that doesn’t let an artist rest made him look for new ways to use the old print. He made modifications in motifs through experimenting with wood blocks and worked with newer textiles like silk, jute, bamboo fiber and leather along with the traditional cotton. Bilal also worked on creating updated translations of the craft, turning it into apparel and home linen. With these endeavors he has contributed to the craft’s journey from being a textile meant for the consumption of local communities to one that appeals to a contemporary wardrobe.